Twenty-seven of 47 wrestlers are competing in the OH-WAY State wrestling tournament. The Court House Cobras, a local wrestling club, runs from the first week of November until mid March. Tom Weaver started the program 16 years ago and helped create the league as it exists today. Six out of the last seven years the Cobras have won the COBYWA league championship. On Feb. 10 the club placed second out of 27 teams at the league Championship. At the beginning of each year we set kids and parents down to explain the atmosphere in our wrestling room. We want the kids first and foremost to develop a love for the sport, the organizer continued. Wrestling can be difficult to grasp, so we always start off every year the same, teaching and refining the basics. Coach Todd Keaton and coach Craig Snyder are the primary instructors and they have done an outstanding job. The sixth grade class this year have been outstanding Leaders. I am excited to see what they do at their programs in Jr. High. Talon Freese placed 2nd at the Central Regional. Lyric Dickerson placed 5th at the Central Regional. Spencer Smith 5x OH-Way State placer, Regional Champ. Lyndyn Gibbs 4x girls OH-Way State placer (girls do not compete at Regionals). Landan StClair placed 3rd at Southeast Regional. Brendon Peters placed 5th at the Central Regional. Jackson Keaton 5x OH-Way State placer, placed 2nd at the Central Regional. Jake Bashor 3x OH-Way State placer, Central Regional Champ. 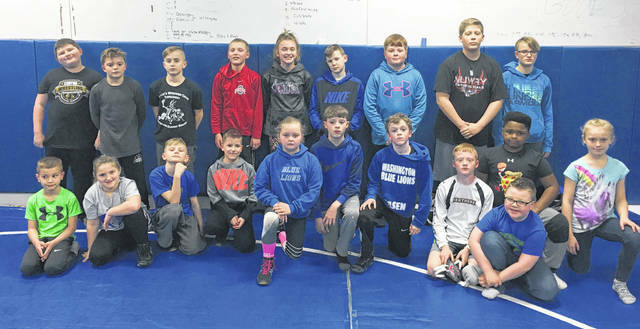 There are also two wrestlers from Miami Trace’s Youth Wrestling Program that train with the Cobras in the post season; Will Enoch’s and Alex Utrera.